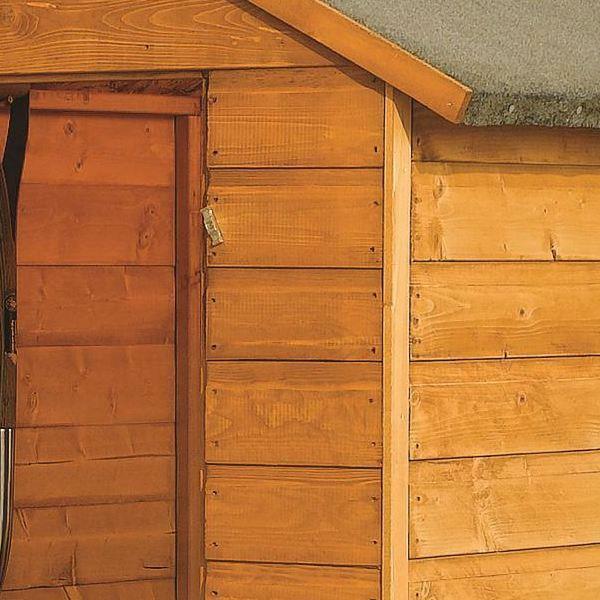 Cost effective modular wooden shed design. A must have addition for any garden. 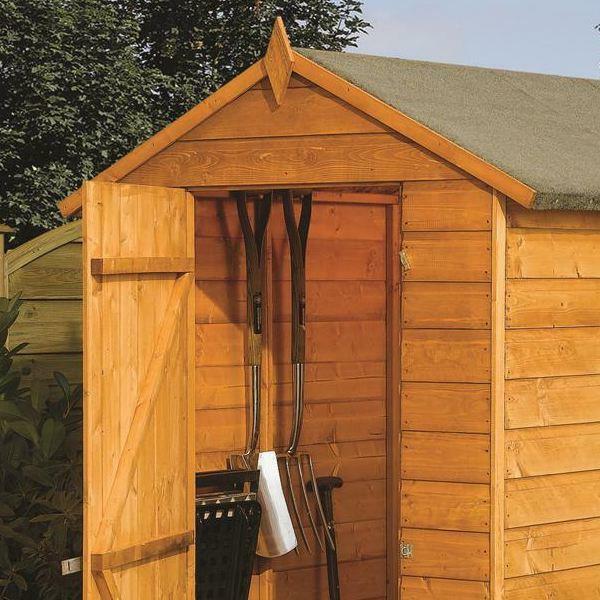 Keeps tools and equipment clean and dry. 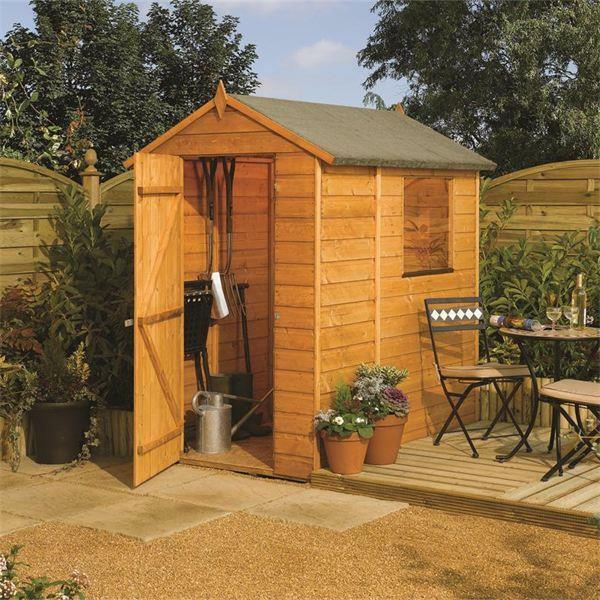 This cost effective wooden garden shed provides a cheap and practical way of keeping all your expensive outdoor tools and machinery safe and dry. 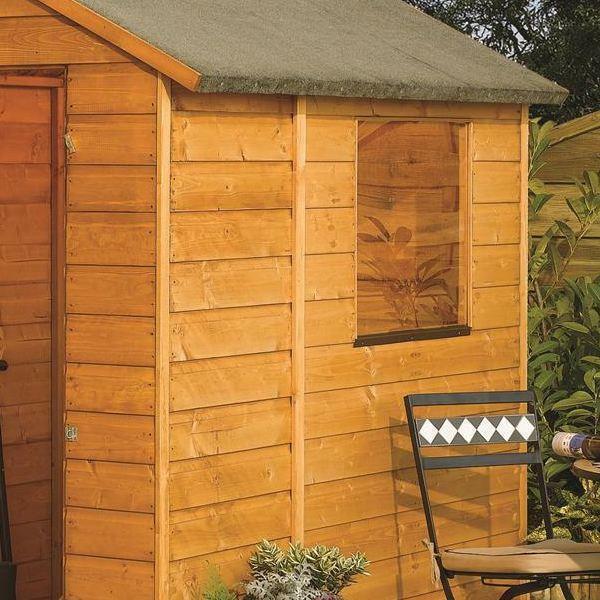 Constructed from shiplap cladding fixed to a sturdy framework, the shed will provide years of trouble free use.